Earlier this year, Microsoft shut down Photosynth, its service for stitching multiple images into panoramas and semi-3D models. When it launched in 2008, the service was extremely impressive, but it never quite caught on. Still, it had its fans — and now Microsoft is bringing it back in the form of a new feature in its Pix camera app for iOS. 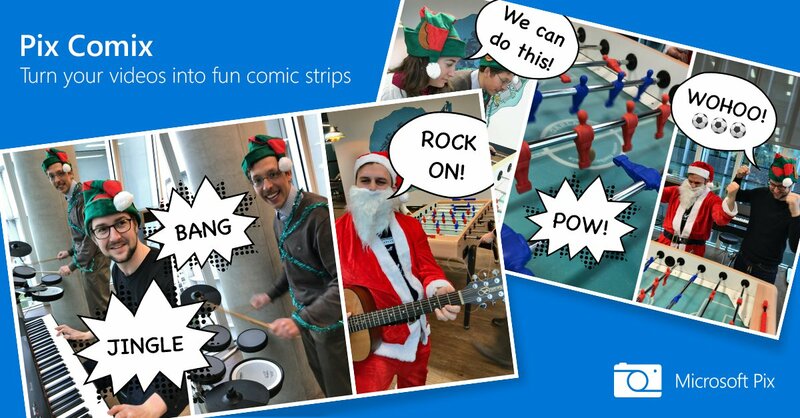 In addition, the Pix app is also getting a comics feature (the result of an internal hackathon) that uses a machine learning model to find the best frames from your Pix Moment captures to create a basic comic strip. All you need to do is add your speech bubbles. Microsoft notes that the new Photosynth feature uses some of the technology behind the original platform, but it also notes that Photosynth in Pix is now faster and allows for smoother capture. It also makes use of the built-in Pix features like auto-enhancements for white balance, tone and sharpness. Sadly, if you’re an Android user, Microsoft didn’t have any news to share about when (or if) it plans to bring Pix to your mobile platform of choice.